Not doors, but window displays are best intermediaries between the customer and the store. The variety of design forms and different solutions let us say, that window display is a type of contemporary art. 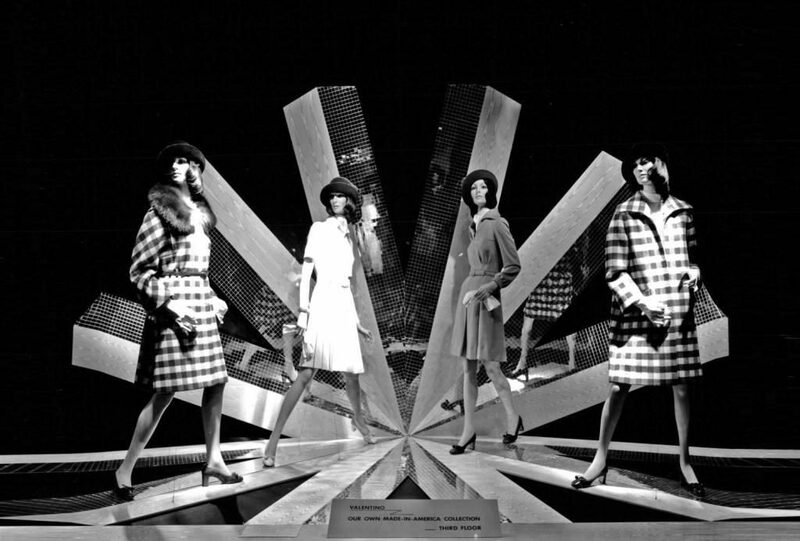 POPSOP has collected and generously shares outstanding examples of visual merchandising. Of course, the main players in the world of design of window displays are large shopping centers, galleries with a rich history and an abundance of wealthy residents, as well as mono boutiques of famous brands, which window displays are dressed like their models – at the highest level. The goal of any window display is to sell. In a beautiful, elegant, unusual way, but still – sell. To do this, designers study special literature, look at the retrospectives of the work of colleagues, seek to invent something new or at least remember something old and well-forgotten. 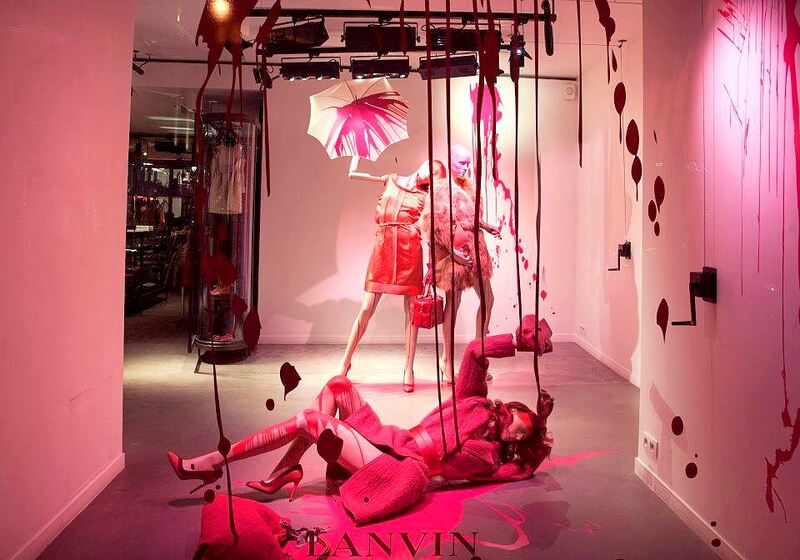 The style of the window display sounds in unison with the philosophy of the brand, supports its image. For example, showcases of the brand for rebels – Diesel and elegant Tiffany & Co are unlikely to coincide in their “sound”. 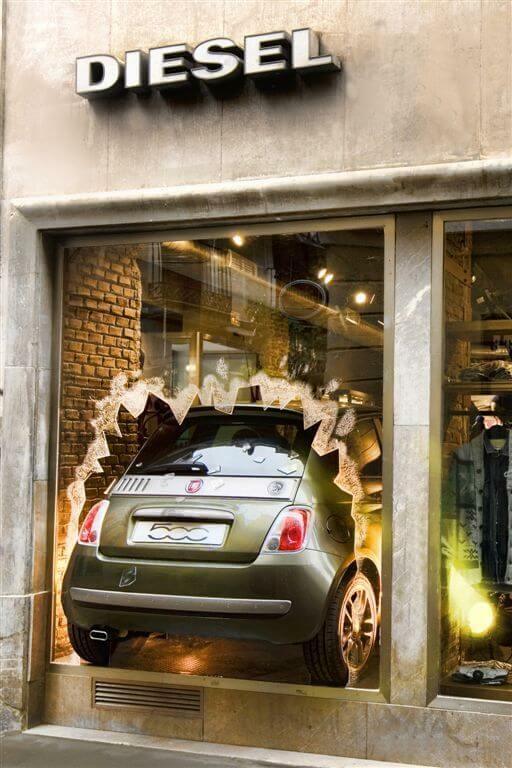 Diesel is ready to break into the life of the customer like the legendary Fiat 500 in the window display of its flagman shop. Tiffany & Co, sorry for the tautology, with a jeweler’s precision create jewelry. This fact is reminded to the customer by small silver men in sparkling windows. 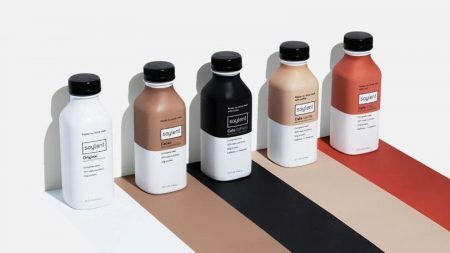 Depending on the nature of the brand, the same idea can be played differently. For example, fashion houses Lanvin and Hermès turned to the theme of colors, but their embodiment is diametrically opposed: madness against order, deliberate drama against restrained elegance. Another popular technique is a collaboration with famous designers. 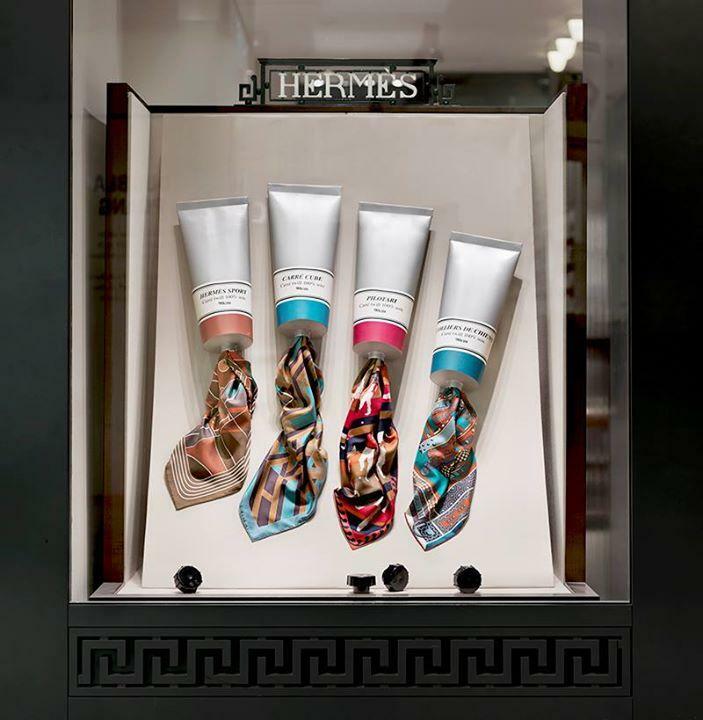 As an example, Hermès invited for the decoration of boutique on Paseo de Gracià in Barcelona world-known professionals in paper art – Zim&Zou. This project has page on Facebook, but best photos of works you can find in Instagram. 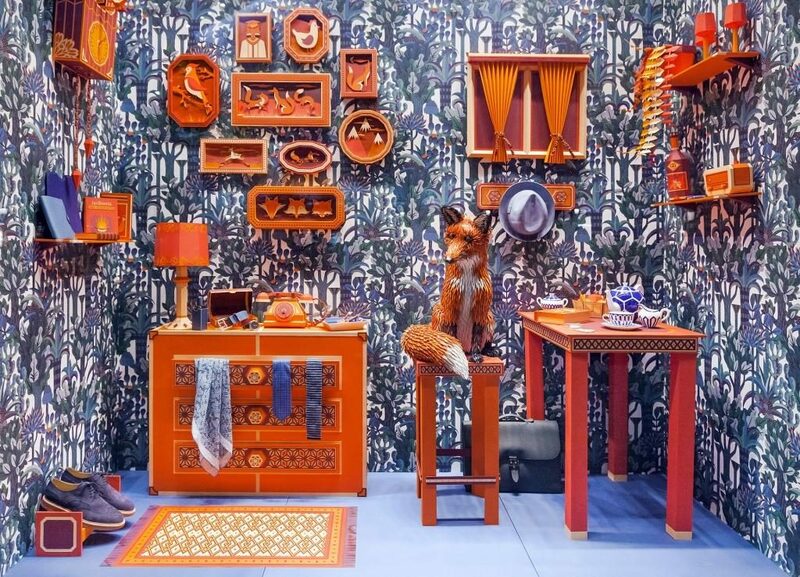 This Carte Blanche tells the story of a fox who moved into the window with all his personal objects, showing a bit of his life and personality. The leather fox is living in a human interior composed with furnitures all made of paper, giving a surrealistic aspect to the scene. Each piece of the window display was made by hand, – tells studio about the project. The use of modern technologies and the creation of interactive storefronts is a popular trend. From spinning dolls and cuckoo clocks designers have moved to complex mechanisms and digital-tricks. 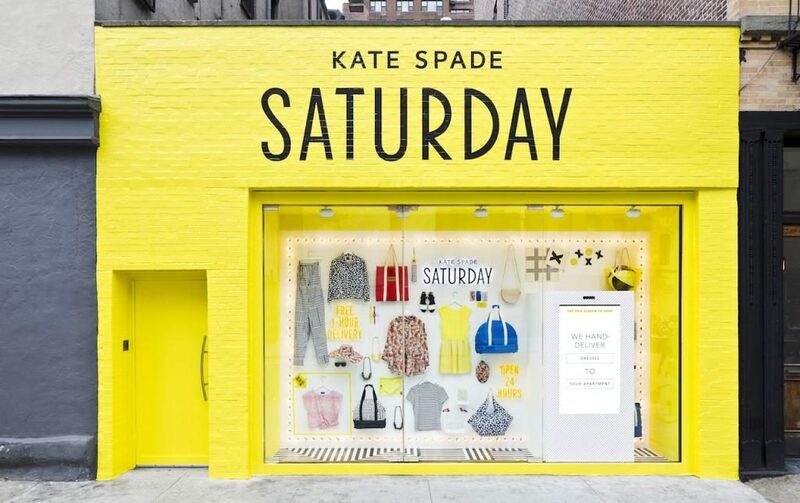 For example, Kate Spade collaborated with eBay to bring a brand-new meaning to the phrase “selling window”. The greatest detail about this miracle on Manhattan became an interactive platform, allowed people to shop via smartphones through the window display 24/7. See this video and get more details about astonishing project. If Kate Spade window displays sell directly, the storefronts of historical department store Selfridges catch people’s attention by offering amazing views, inviting for magic shopping inside. 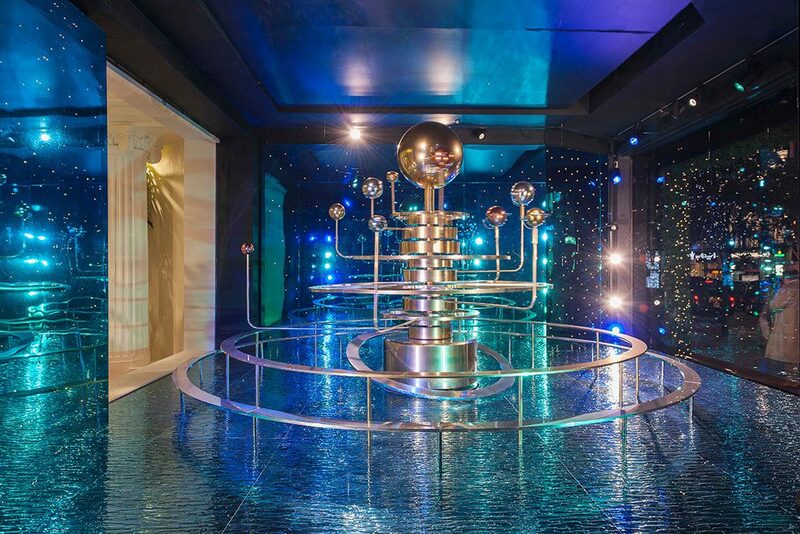 One of the most memorable installations of the department store was the stunning model of the solar system, which was in constant motion. 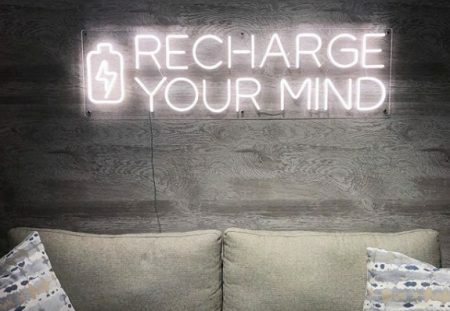 To implement such a difficult idea, the management turned to Artem, which specializes in the creative solution of “painful problems”. The brand has an official page on Facebook, as well as a YouTube channel, where it lays out its brilliant decisions. We will give one of them below. No, these guys do not make a rocket to fly into space. This is “just” a window display. Artem’s computer-aided design (CAD) software enabled the mechanics and components of the model to be designed alongside each other. Aside from the narrow timeframes, one of the biggest challenges was to create a model of such size and scale that could work reliably and smoothly without compromising its visual impact, – explains Ritchie Beacham-Paterson, Artem supervisor on the project. One more department store, known for both sides of Atlantic – Barney’s in New-York. 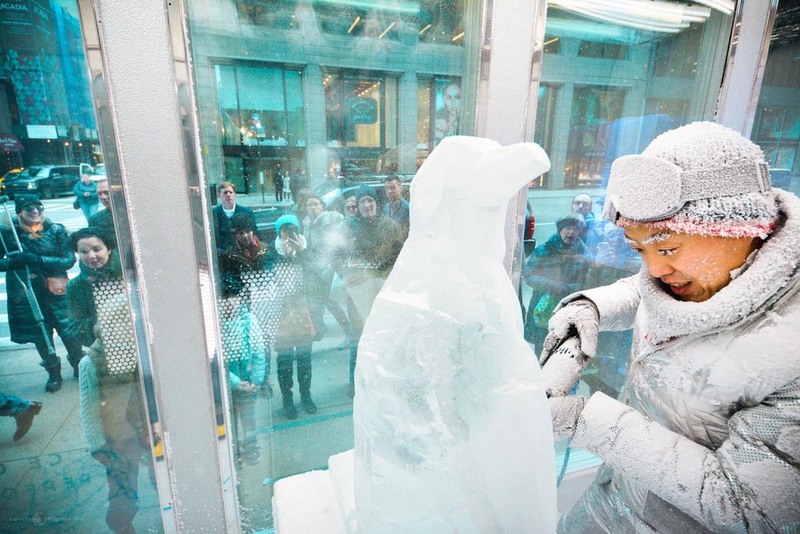 While Selfridges uses high technologies, American giant turn the window display into the fridge with people inside – professionals of ice carving from Okamoto studio. The focused look. The inspired crowd. We showcase the action behind the artistry. We’ll let you in on the secrets of our craft and customize the experience for your event. We have the know-how to make the spectacle safe, secure, and exciting, – explains the team. You can watch their works in Instagram or on Facebook. The world-known source about visual merchandising windowswear.com, where professionals from Fendi, Ralph Lauren или Michael Kors search for inspiration, make an annual award of best window displays in the world of fashion. 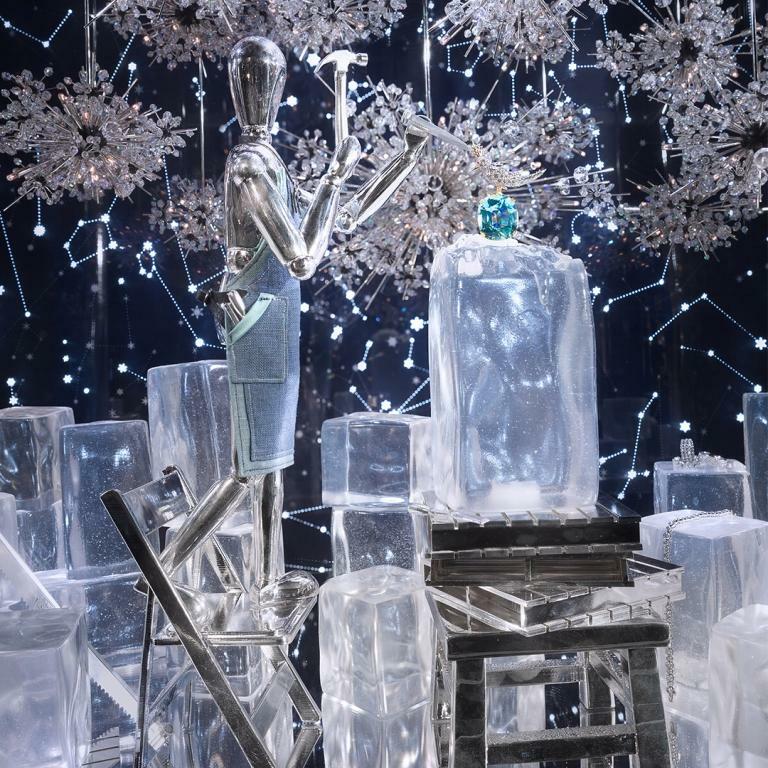 In 2017 more than 30 brands became winners, each of them – in a very extravagant nomination, like “best window display in blue”, “best spring window display”, “best mannequins” and so on. In our article we show you some of winners. For the whole list you can click official site. Posted in Advertising, Design, Marketing. Bookmark the permalink.